The Commerce Ministry has announced that the Government e Marketplace [GeM] has launched “Womaniya on GeM” initiative to enable women entrepreneurs and women self-help groups [WSHGs] to sell handicrafts and handloom, accessories, etc. directly to various Government ministries, departments, and institutions. Empowering the women entrepreneurs is a step in the direction of poverty alleviation. 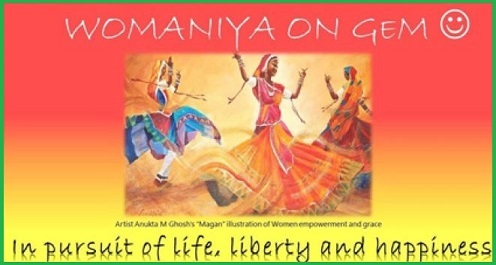 Artist Anukta M Ghosh’s artwork “Magan”, an illustration of women empowerment and grace, is the face of Womaniya on GeM. The initiative aligns with Government’s initiatives for MSMEs, especially to reserve 3 percent in government procurement from women entrepreneurs. This initiative will also address goals and objectives under the United Nations Sustainable Development Goal 5: Achieve gender equality and empower all women and girls. About GeM: It is a 100 percent government-owned company set up under the aegis of Ministry of Commerce and Industry. » National Medical Devices Promotion Council to be set up under DIPP.